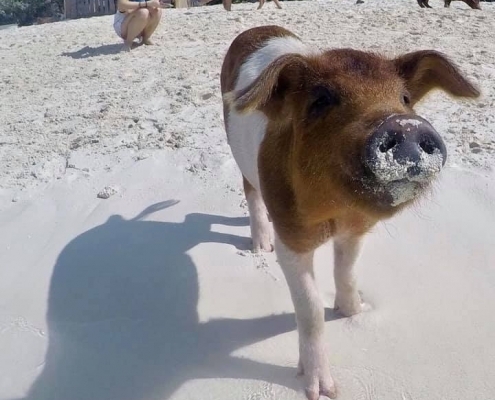 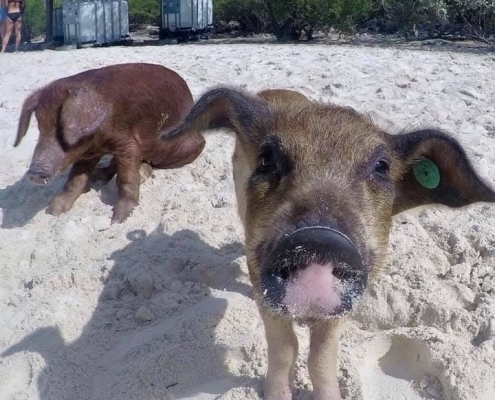 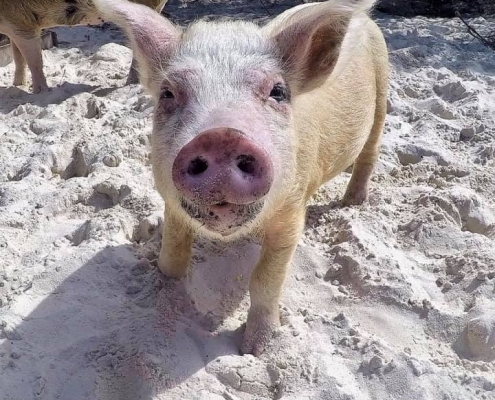 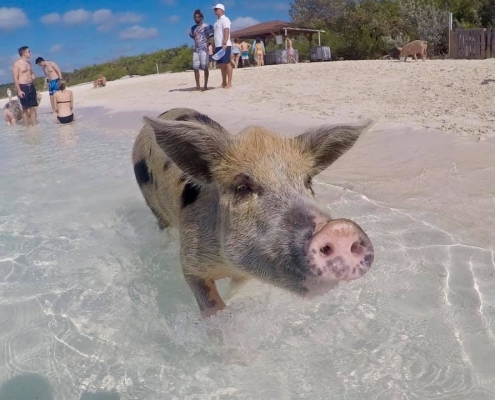 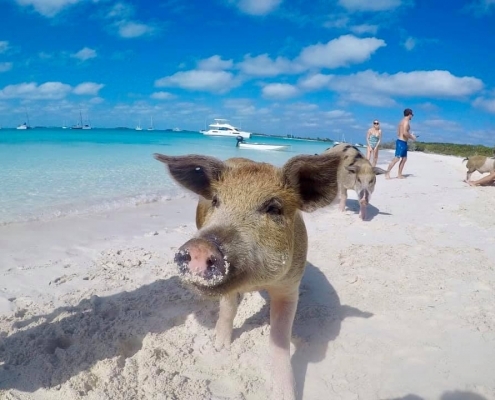 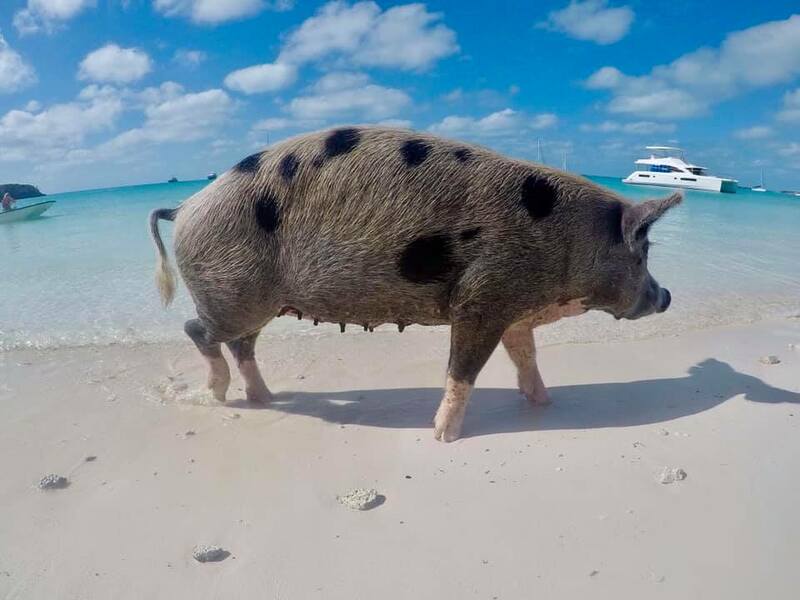 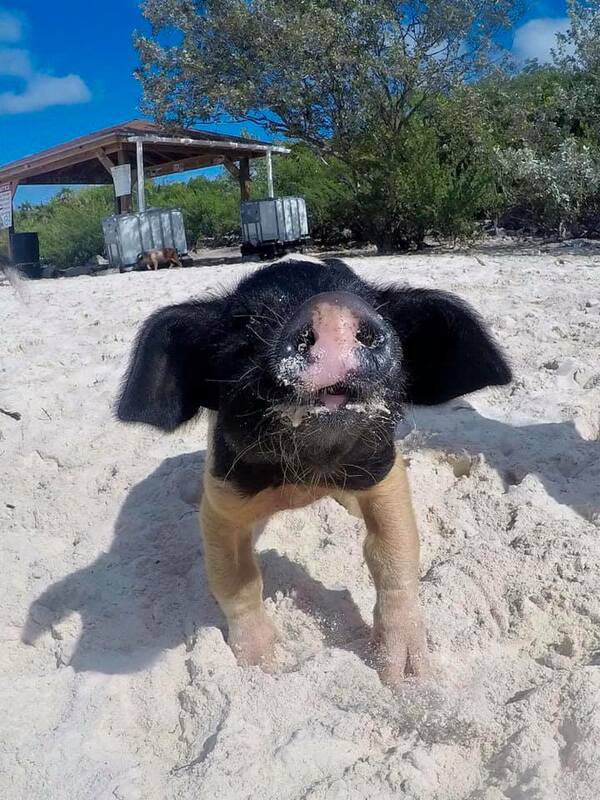 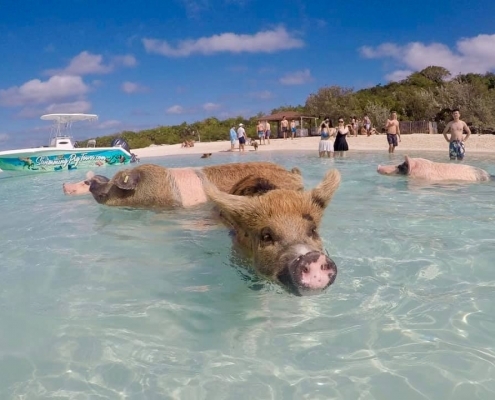 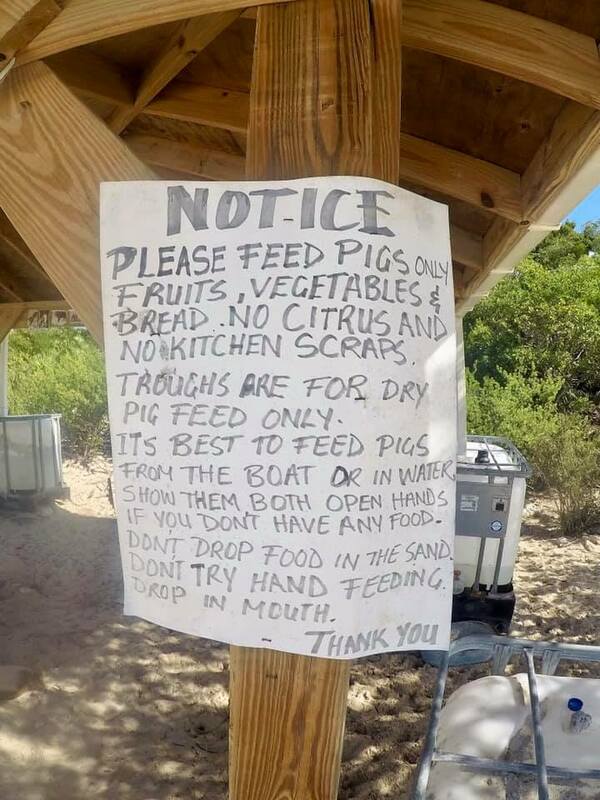 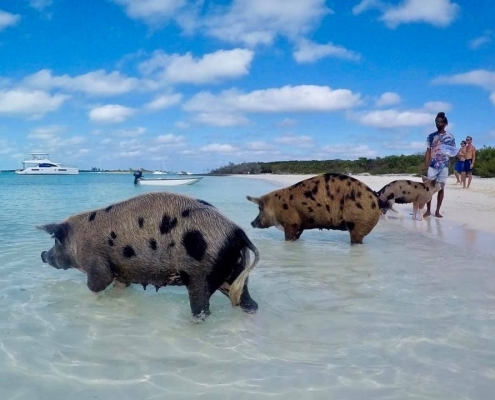 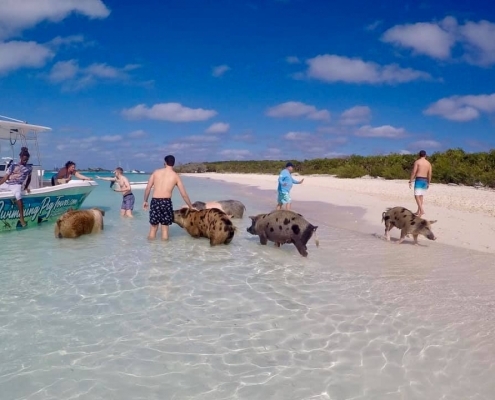 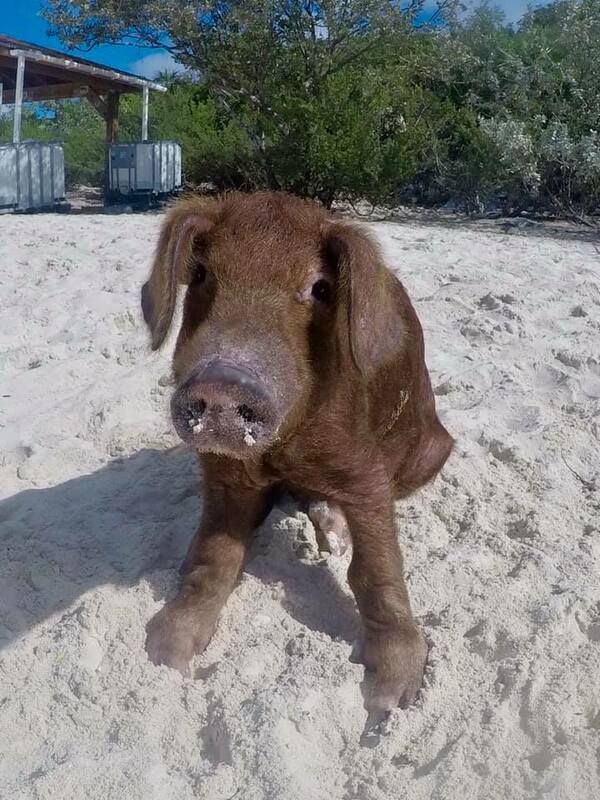 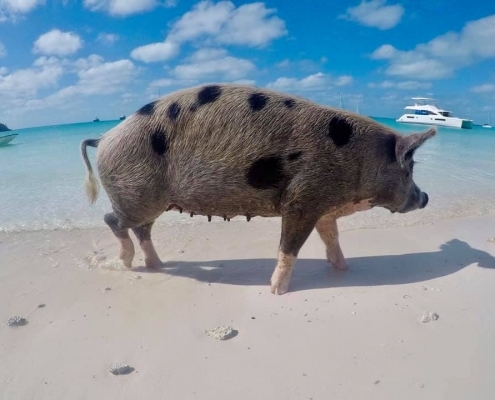 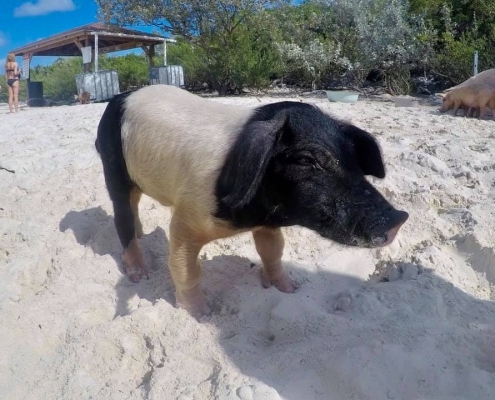 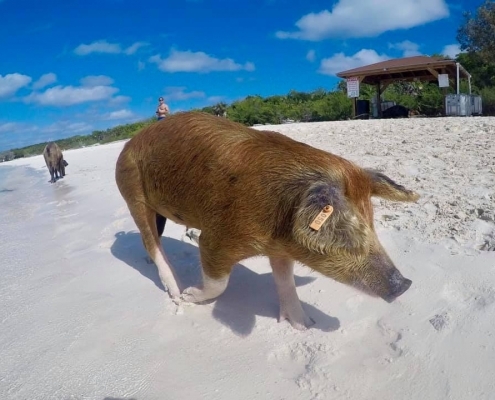 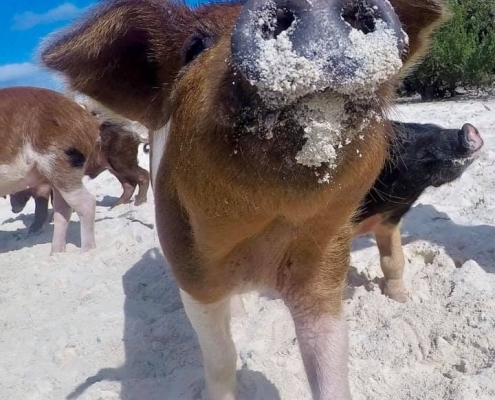 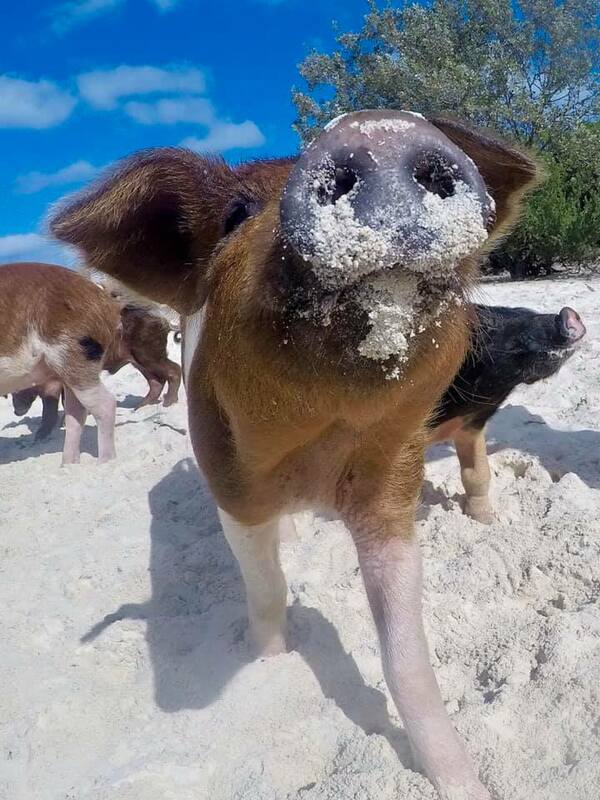 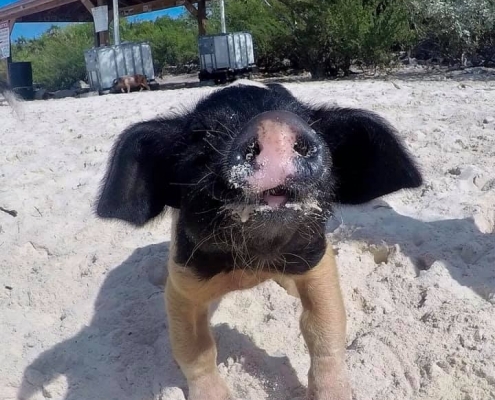 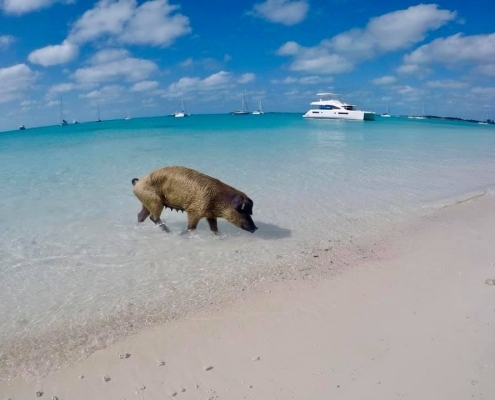 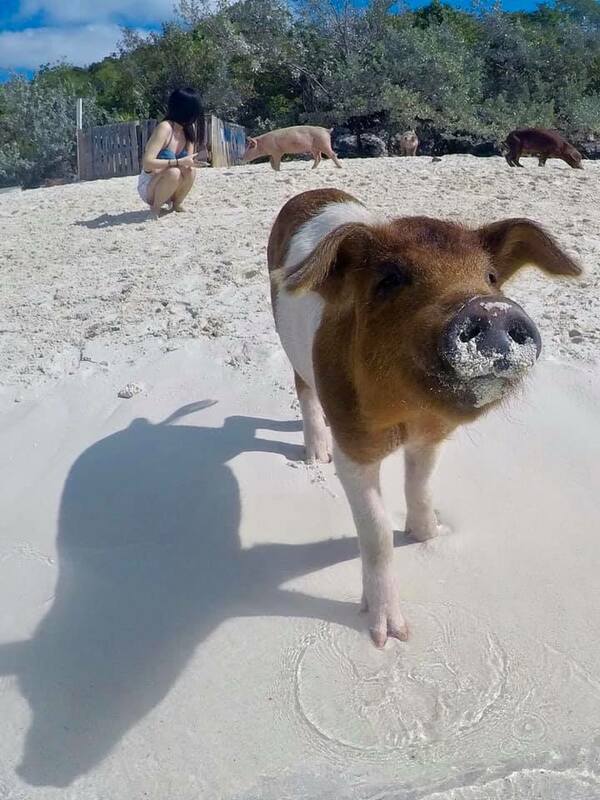 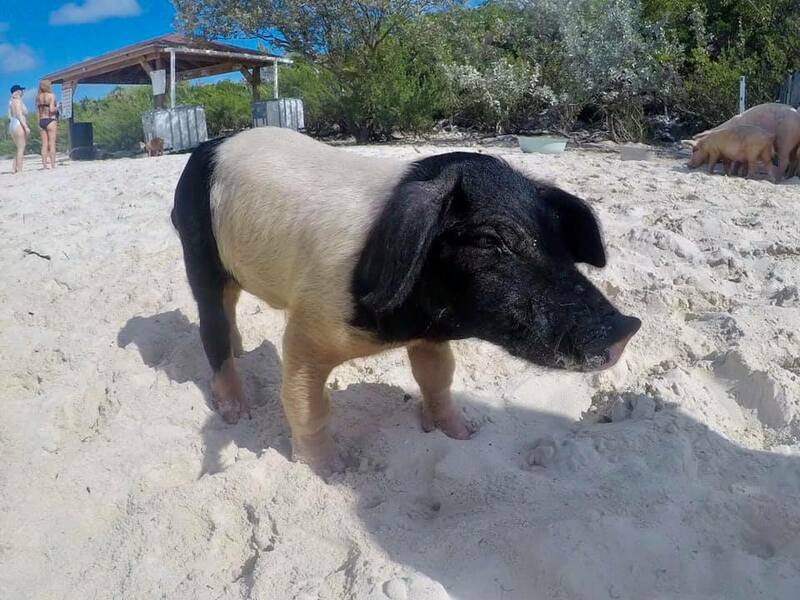 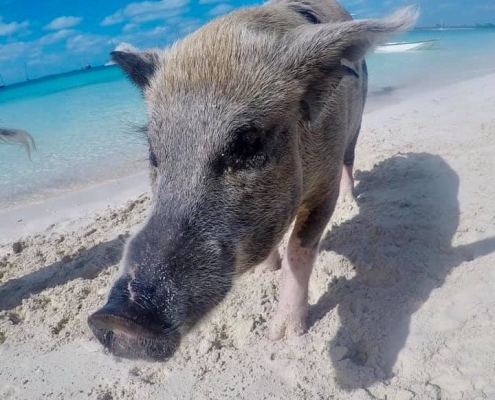 The most famous and oft-photographed place in Exumas is the uninhabited Big Major Cay that has feral (wild) pigs living on it. 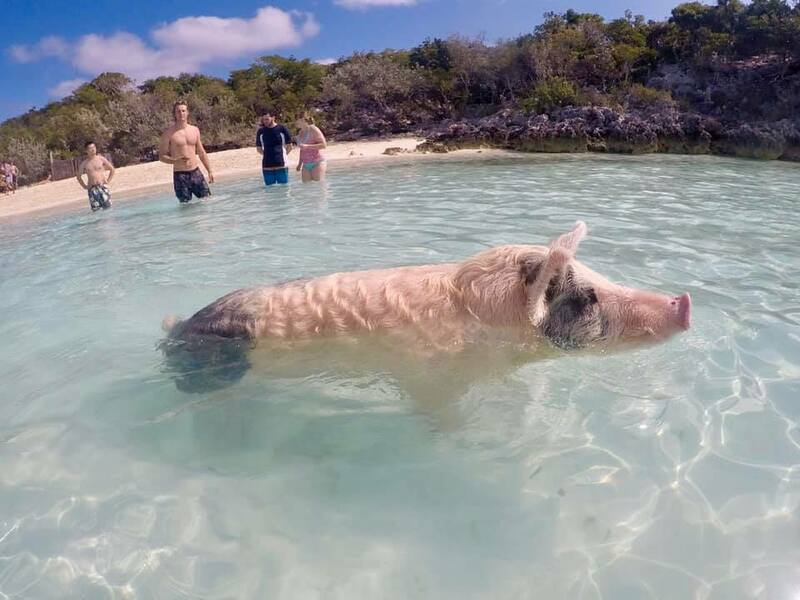 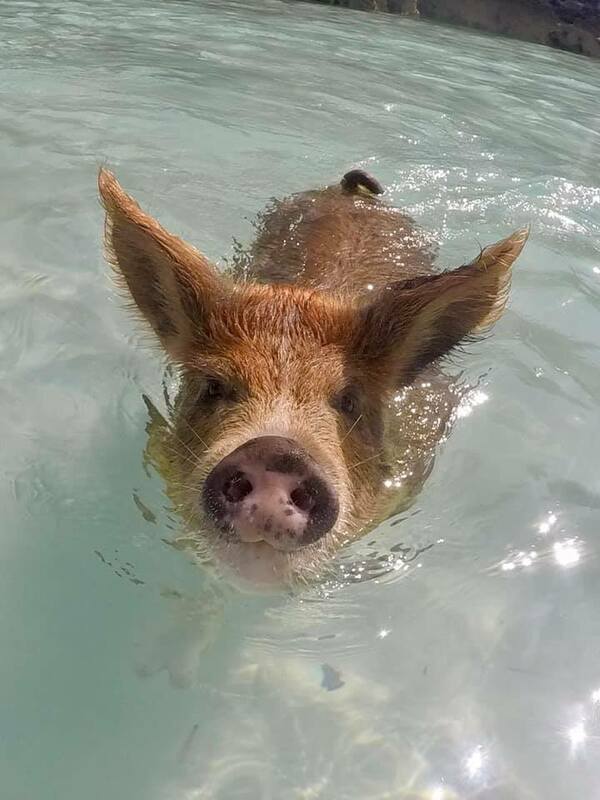 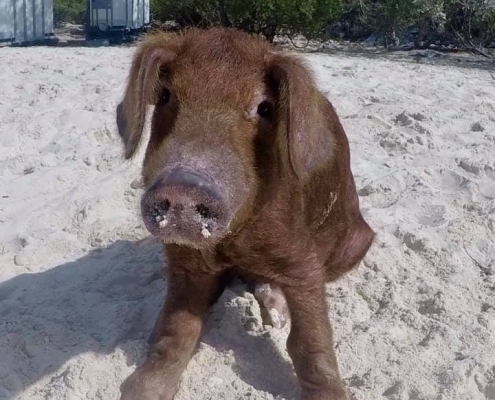 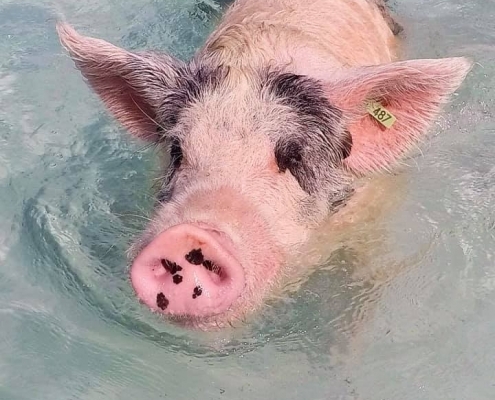 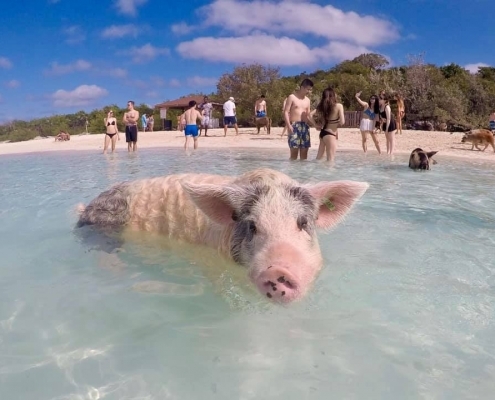 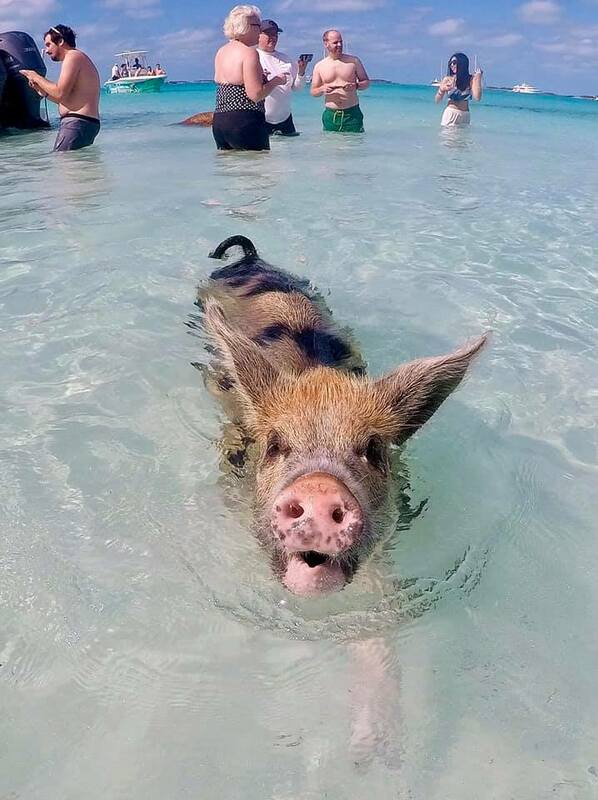 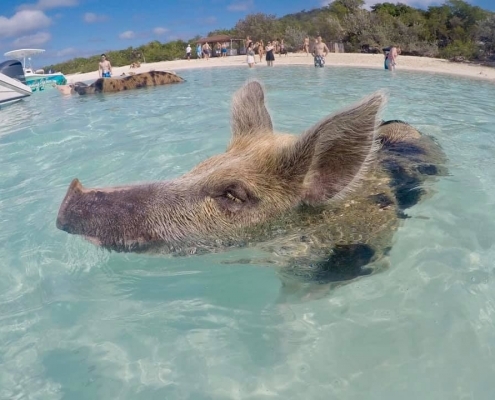 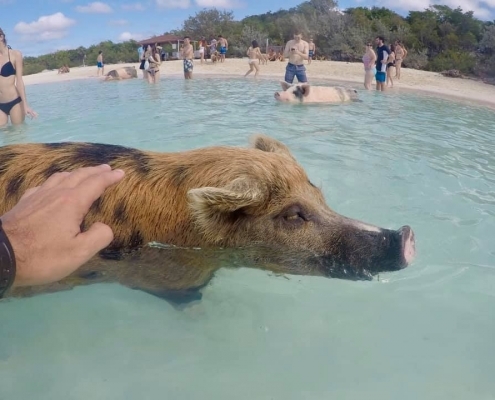 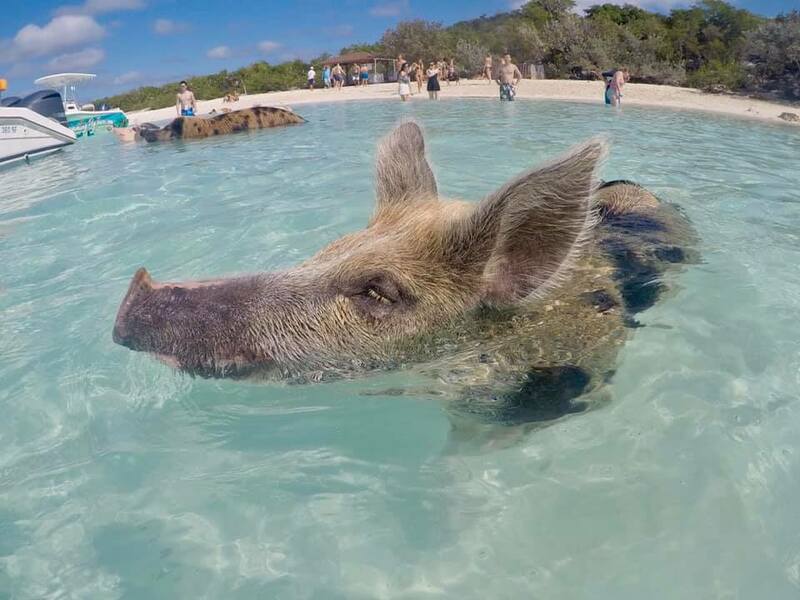 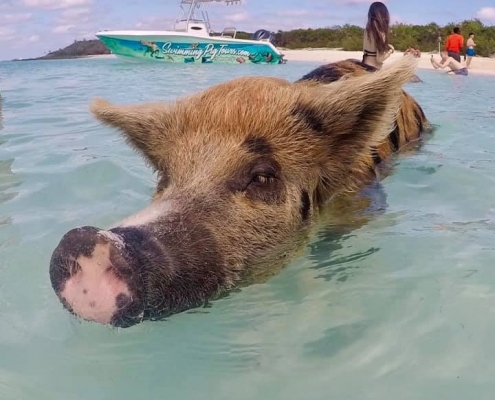 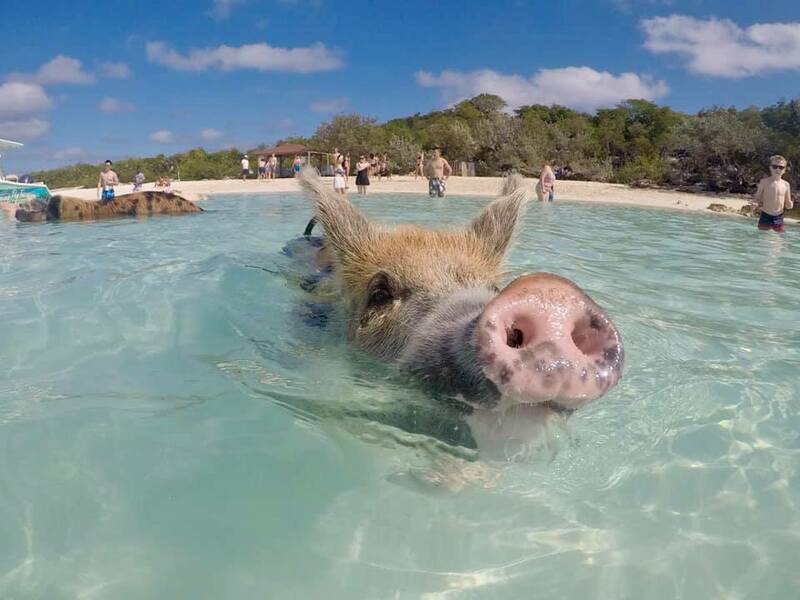 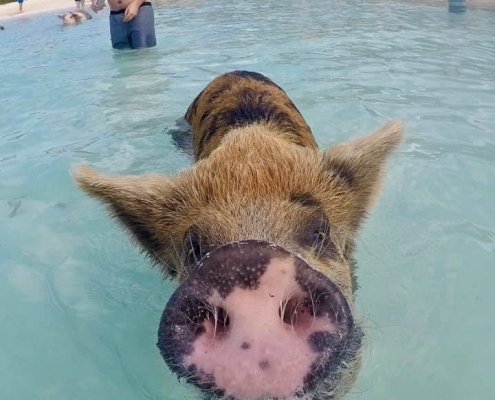 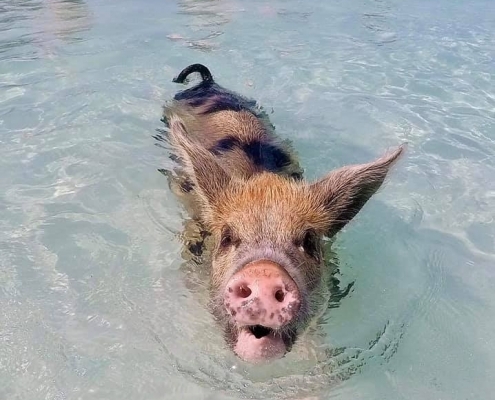 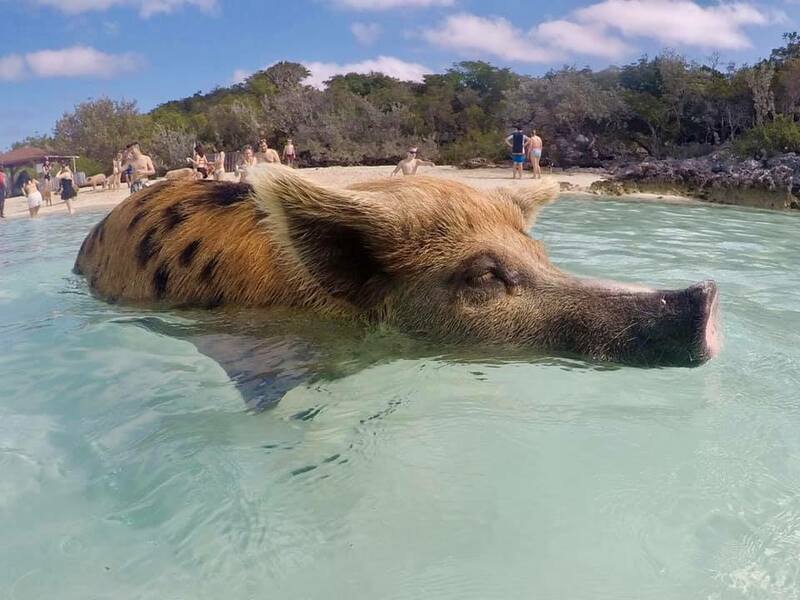 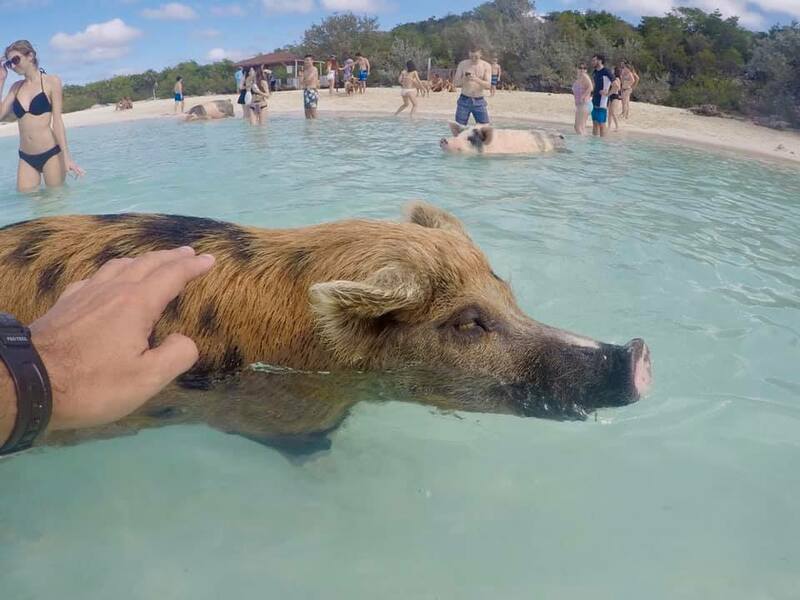 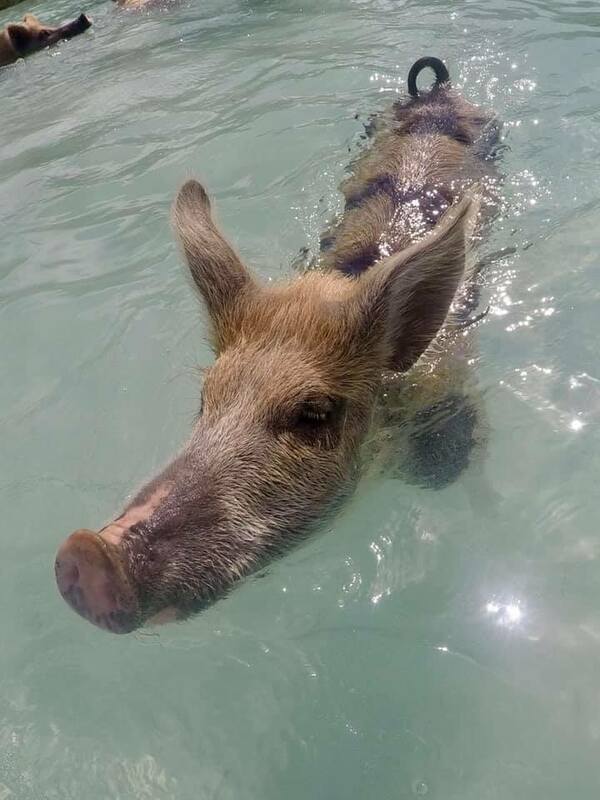 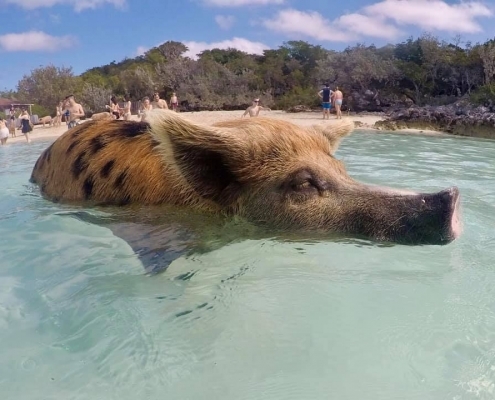 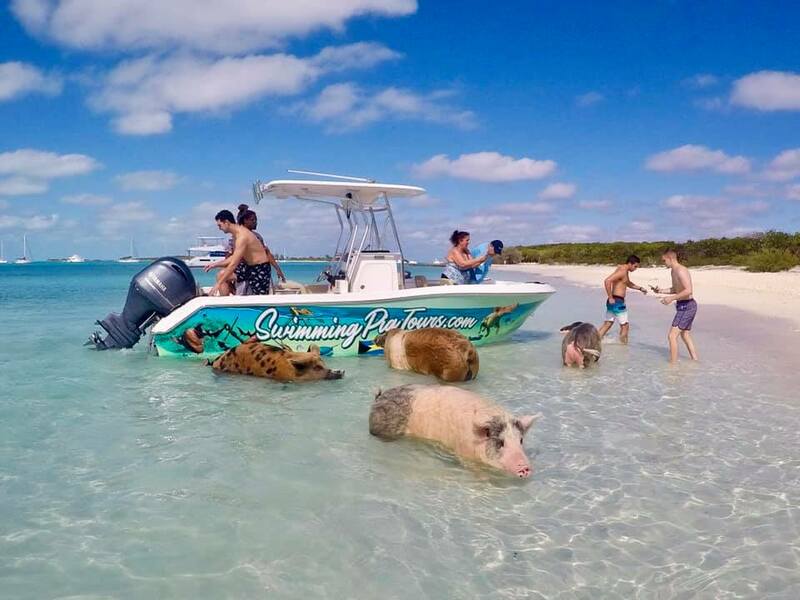 Some say pigs were abandoned accidentally, some say it was intentional – but regardless of the reason, people come from far away to see these swimming pigs and swim with them. 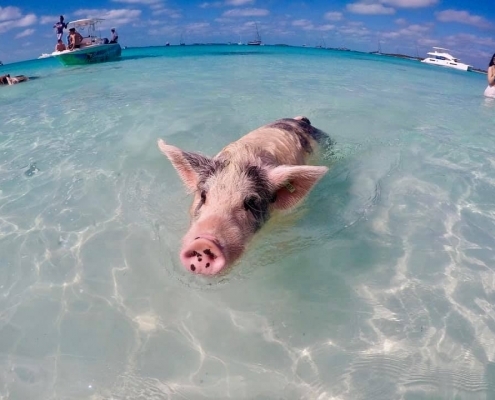 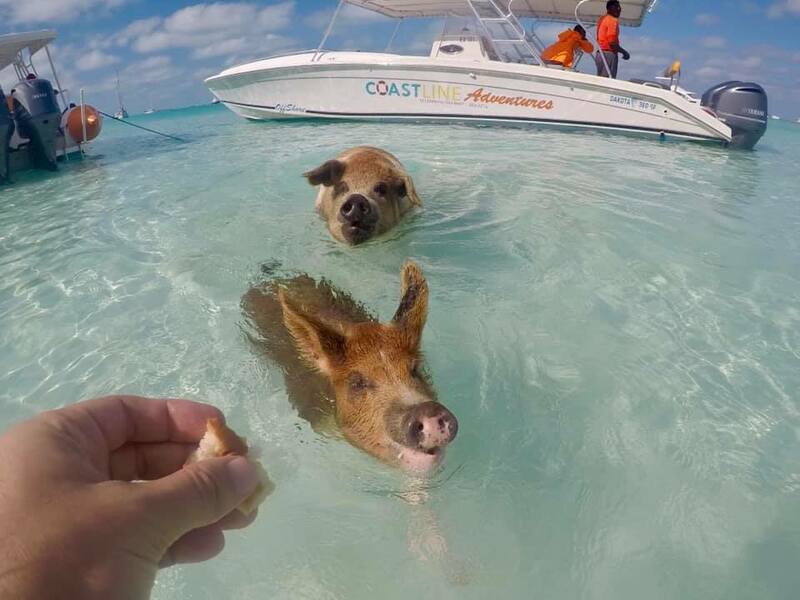 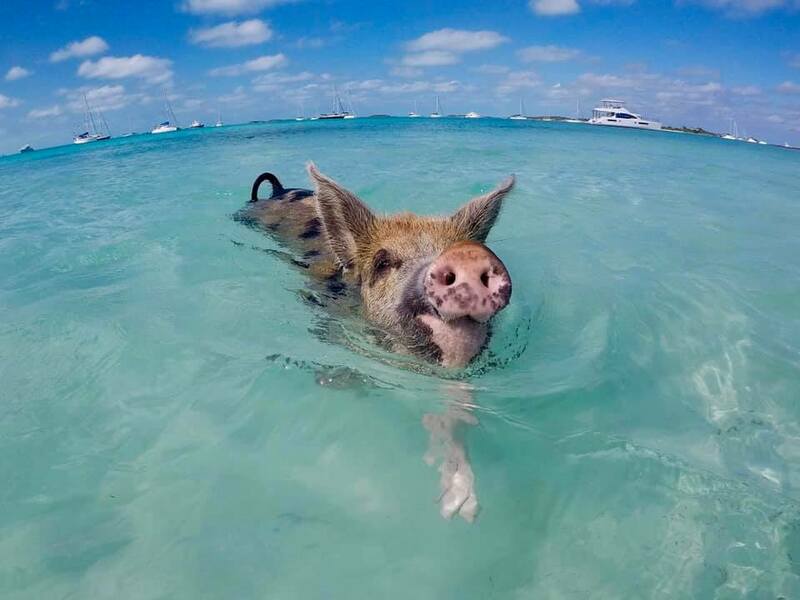 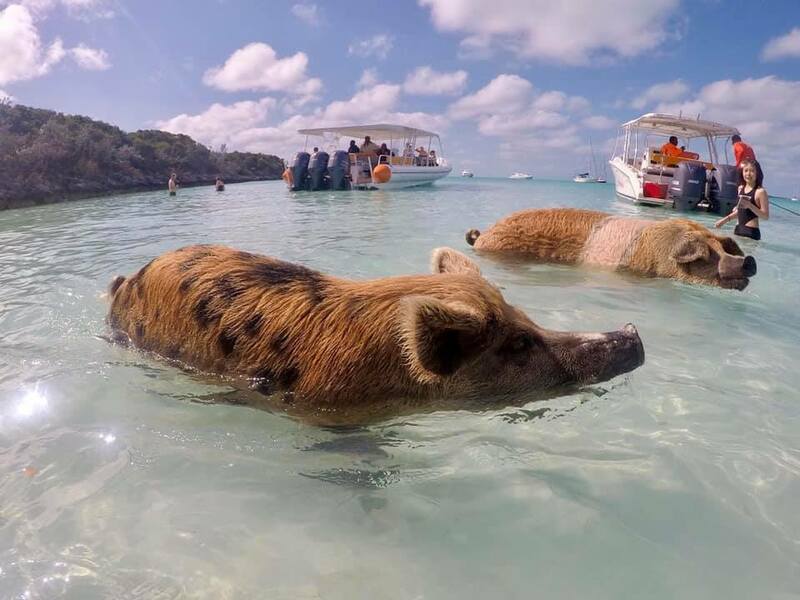 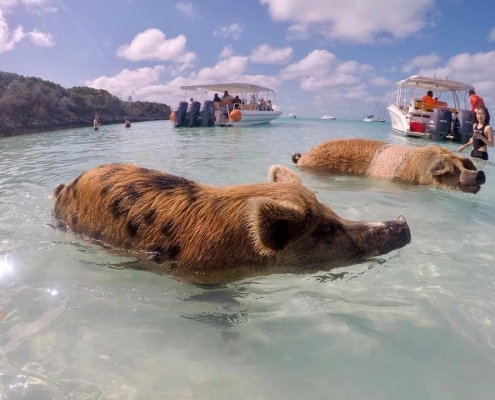 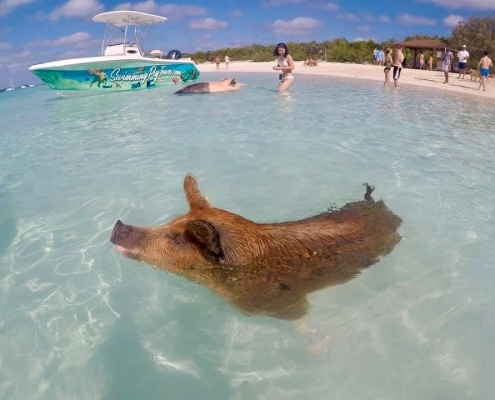 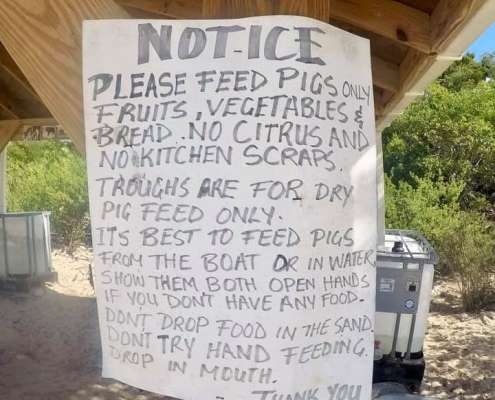 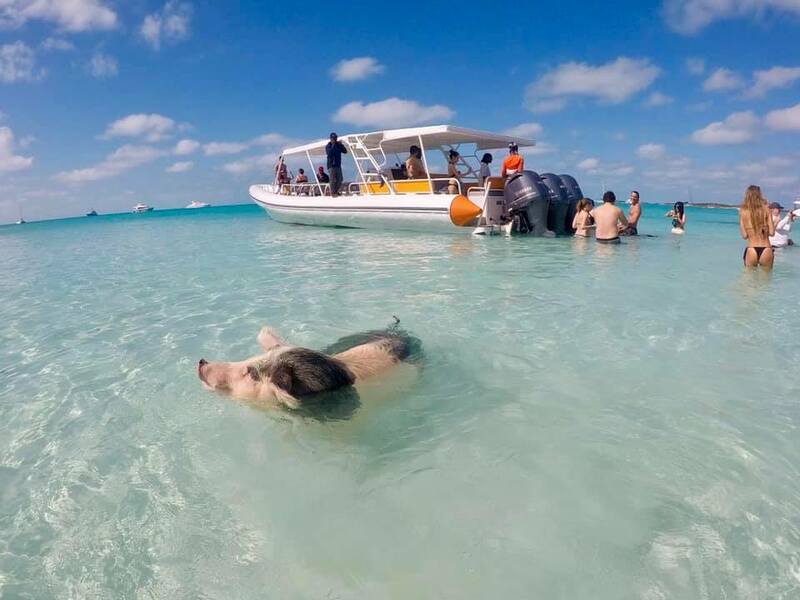 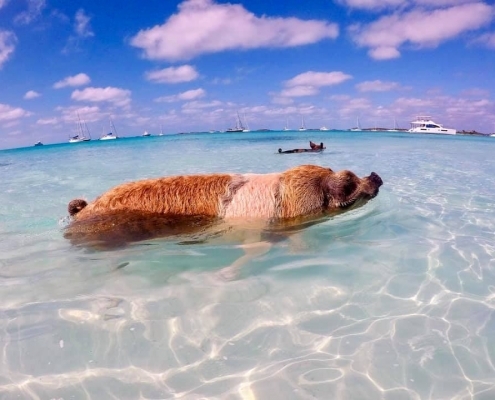 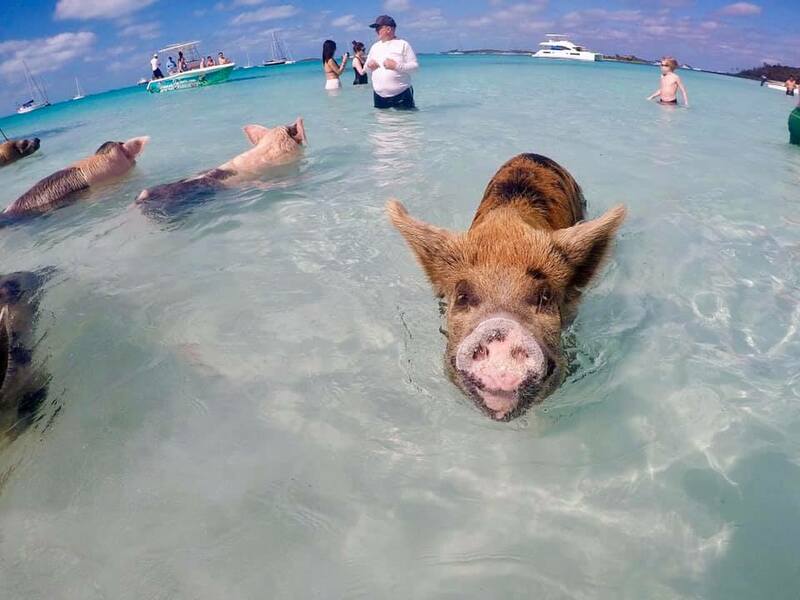 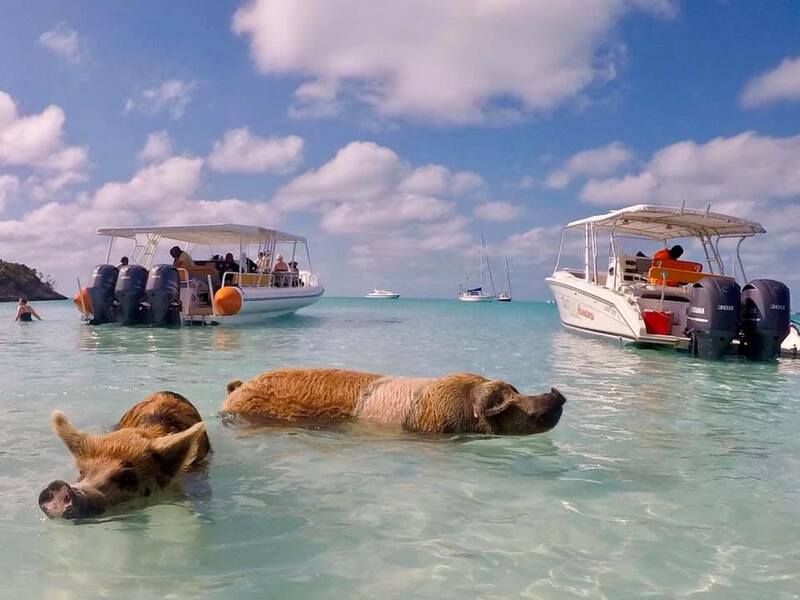 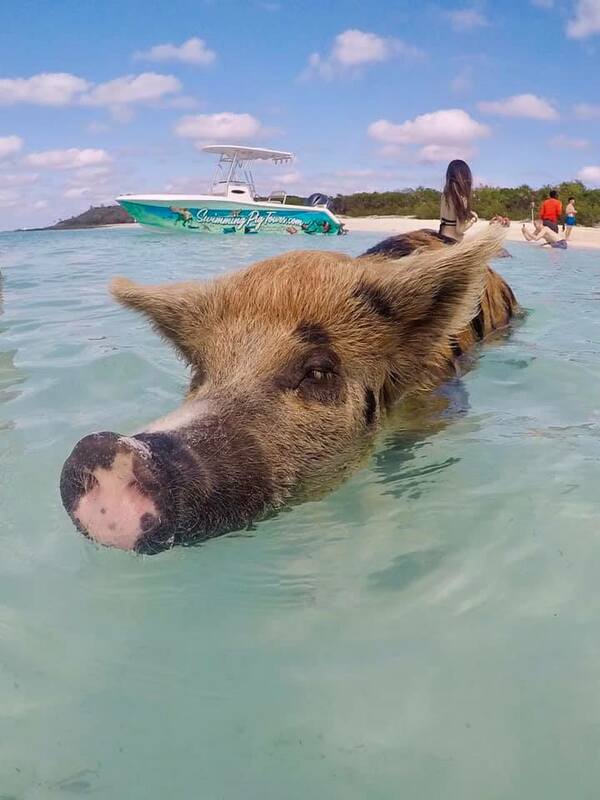 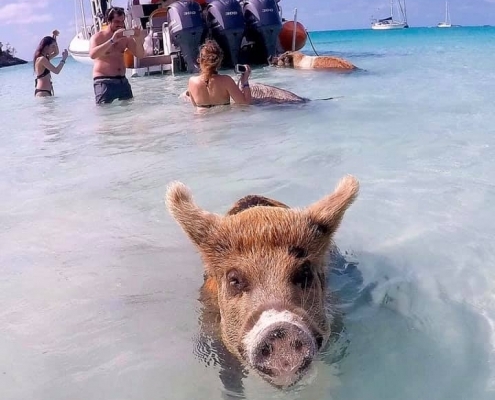 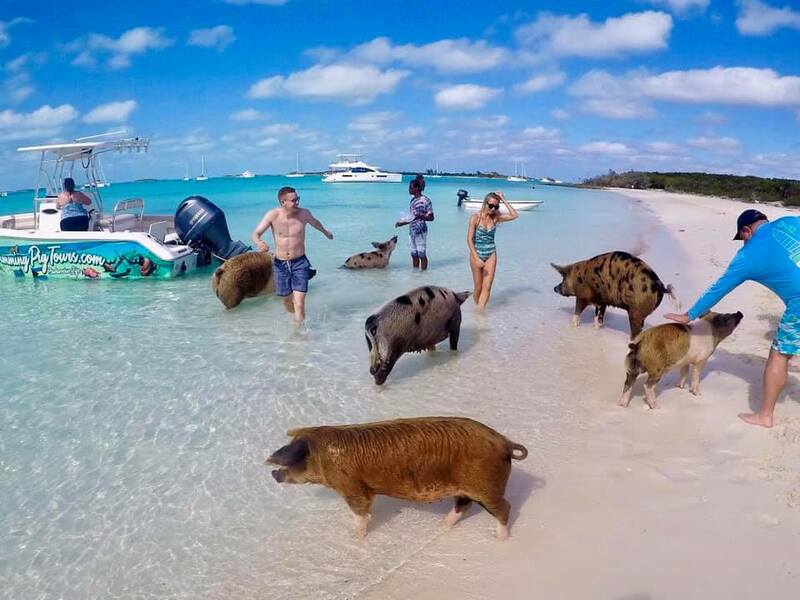 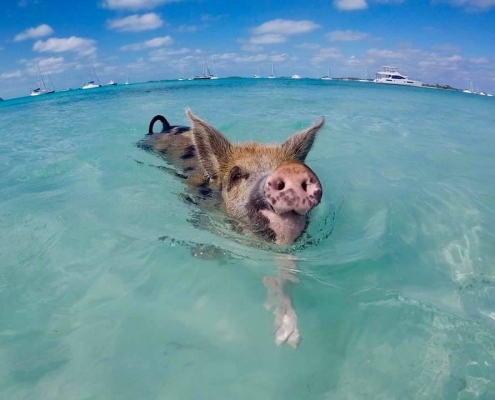 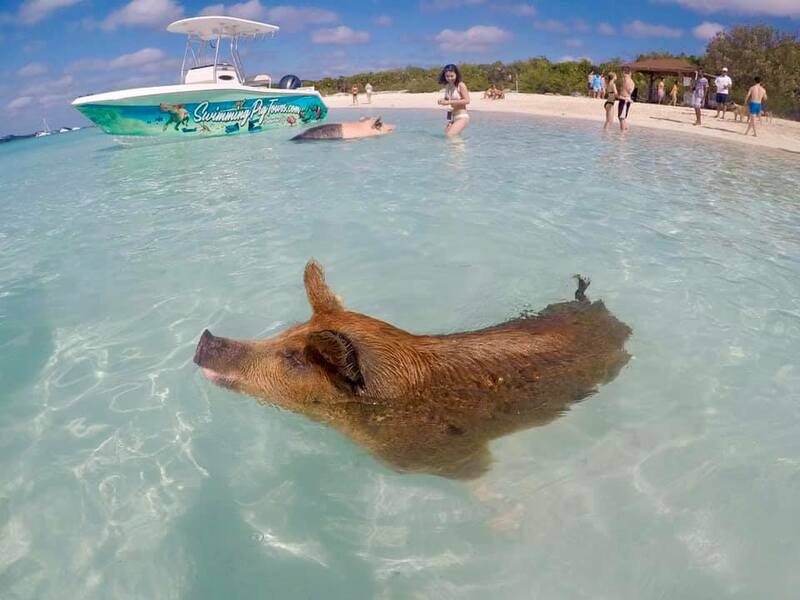 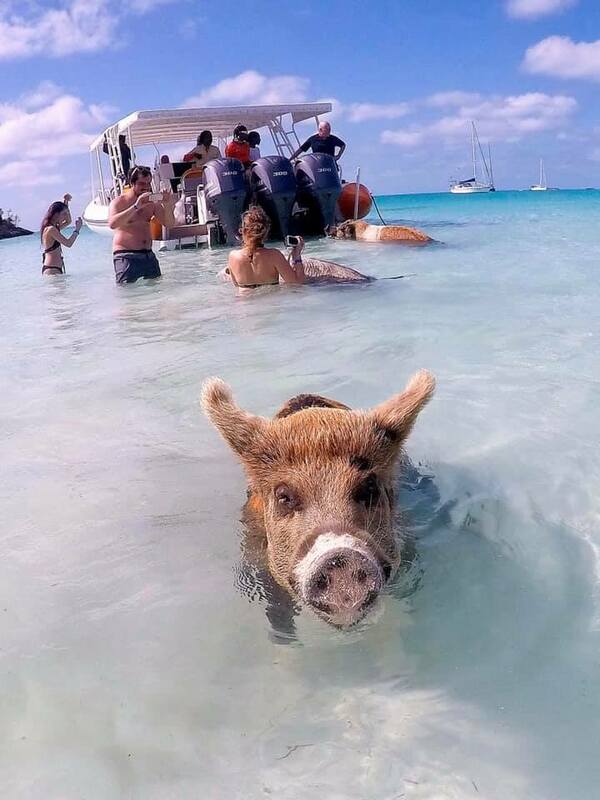 Pigs greet every boat by swimming toward it in hopes of being fed with bread. 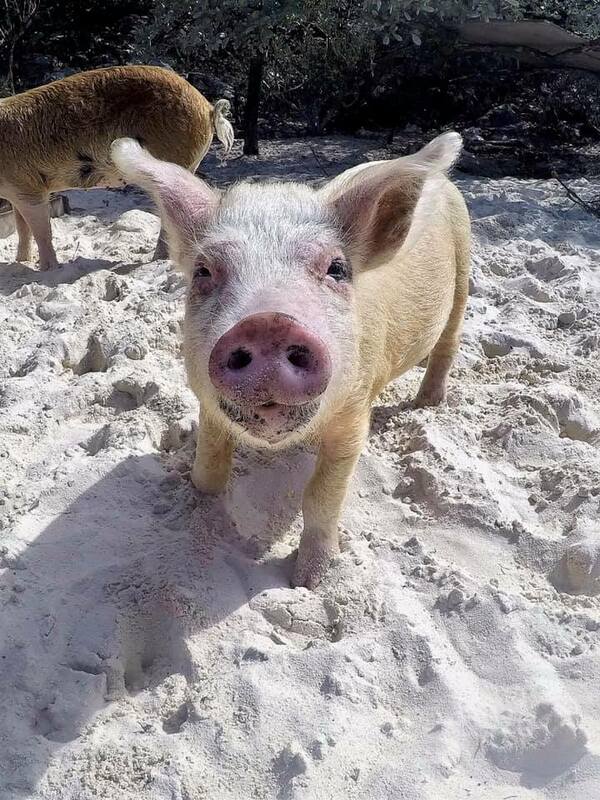 Some are small but several are truly humongous, probably a thousand pounds! 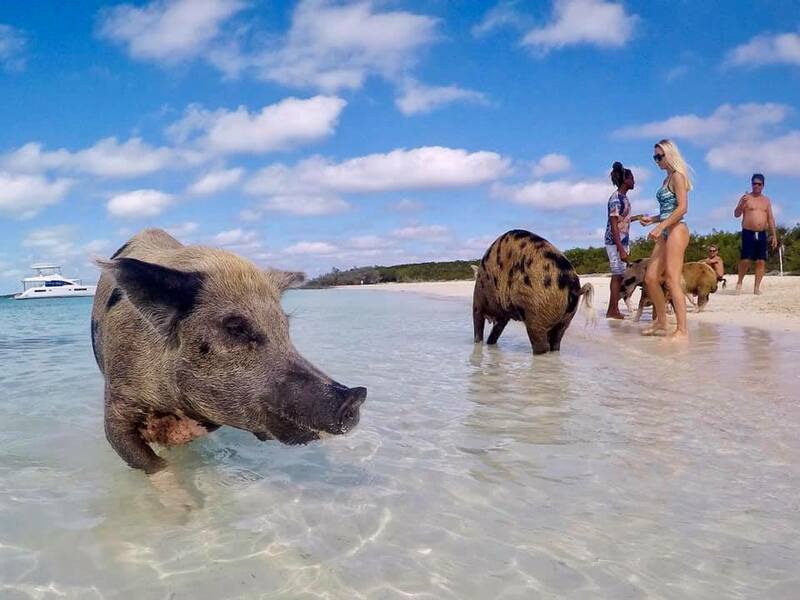 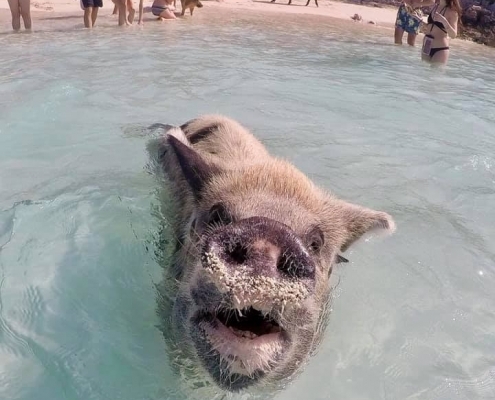 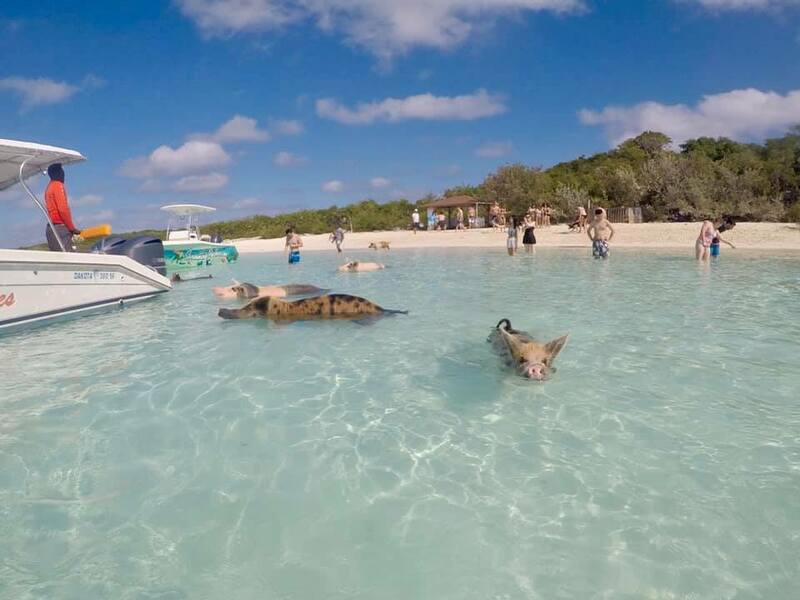 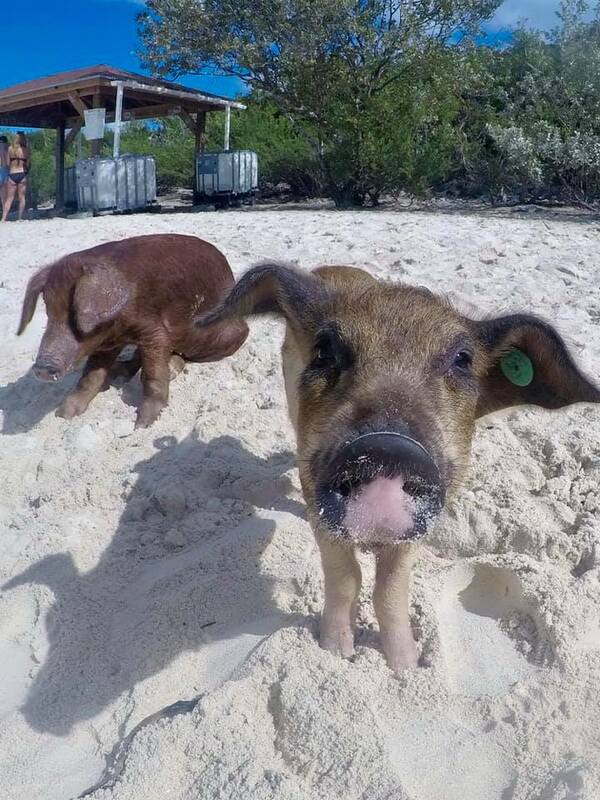 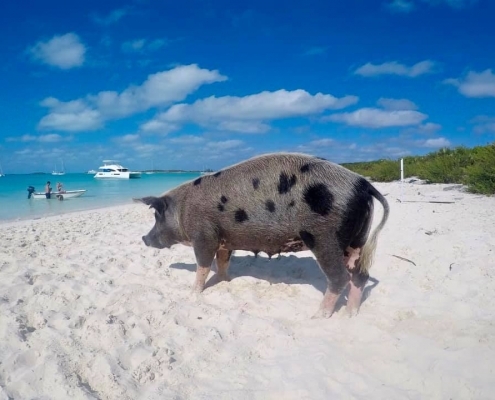 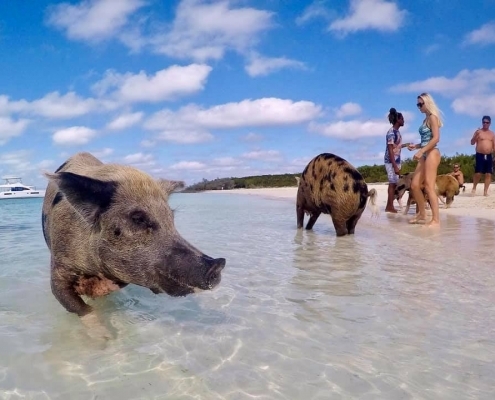 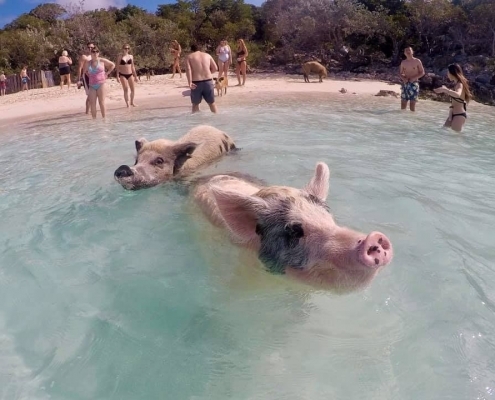 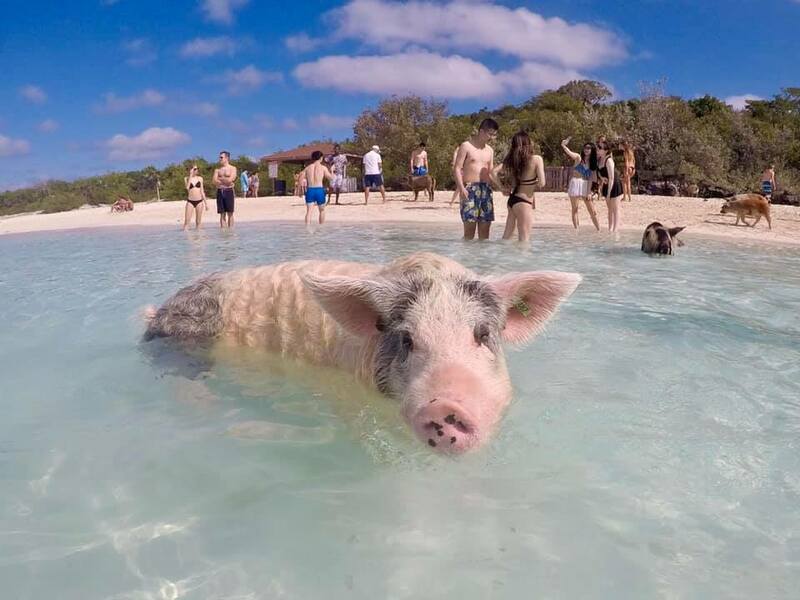 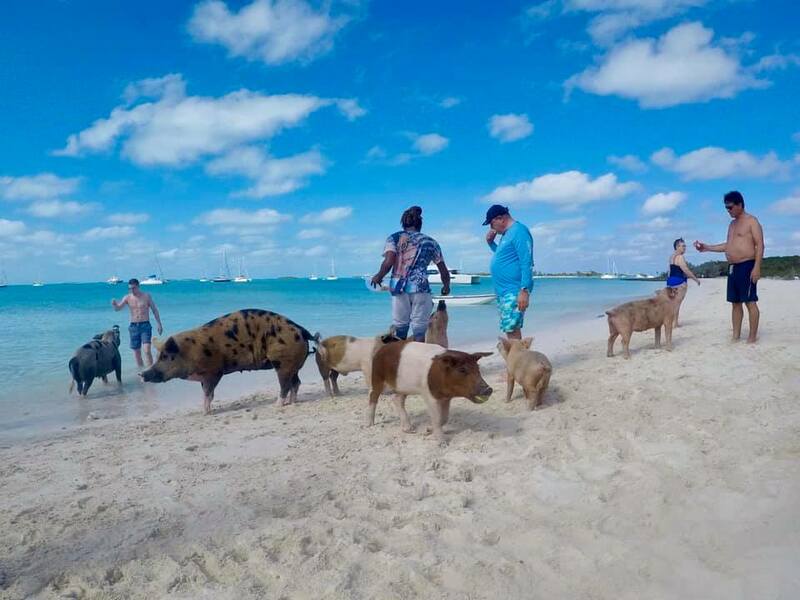 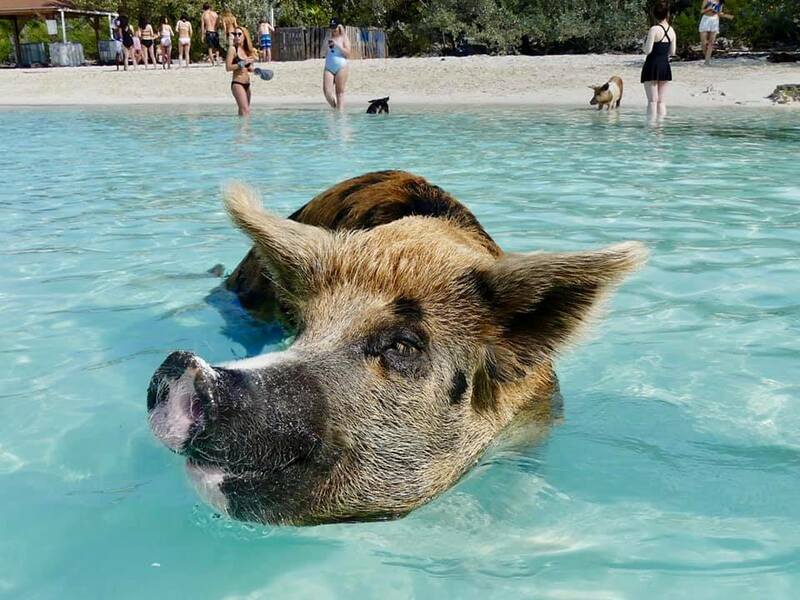 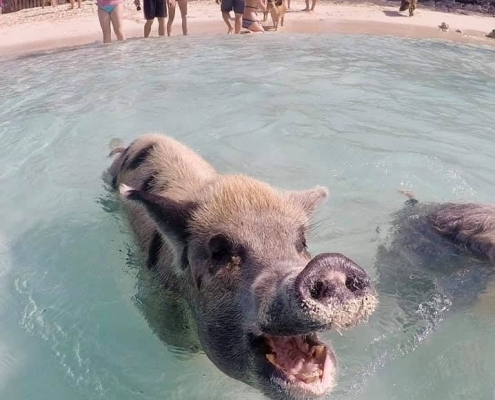 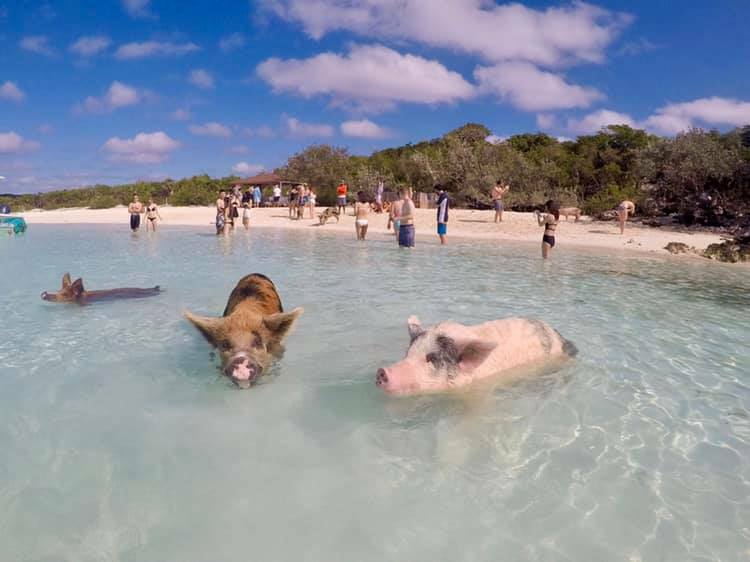 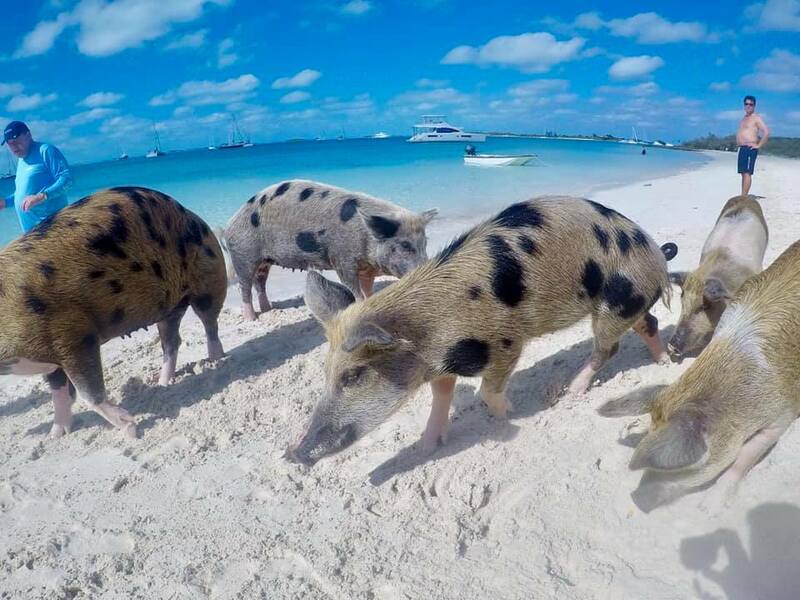 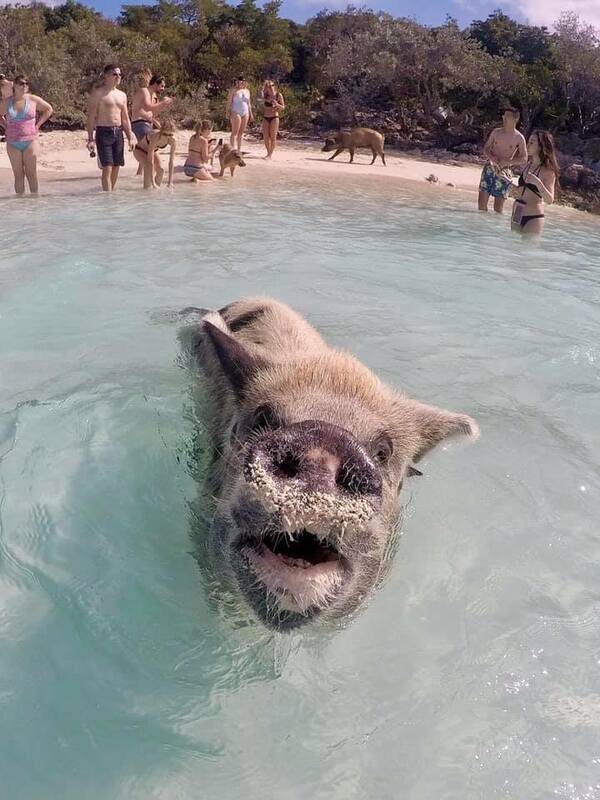 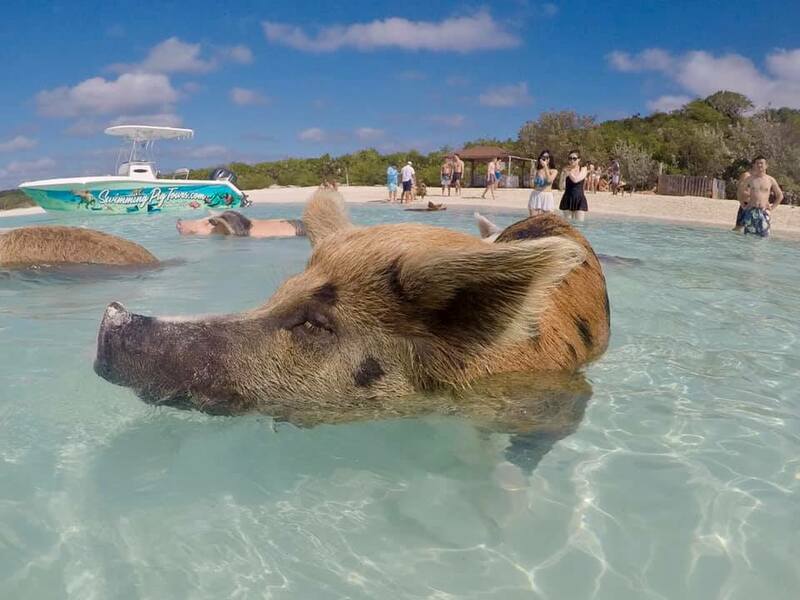 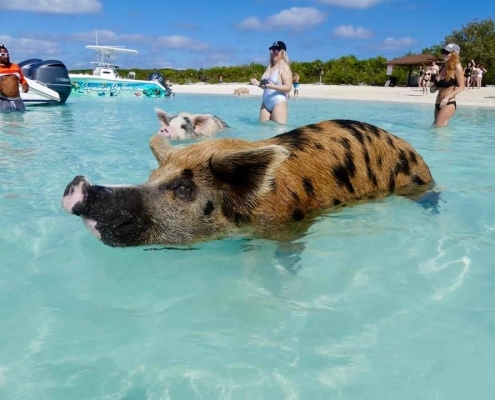 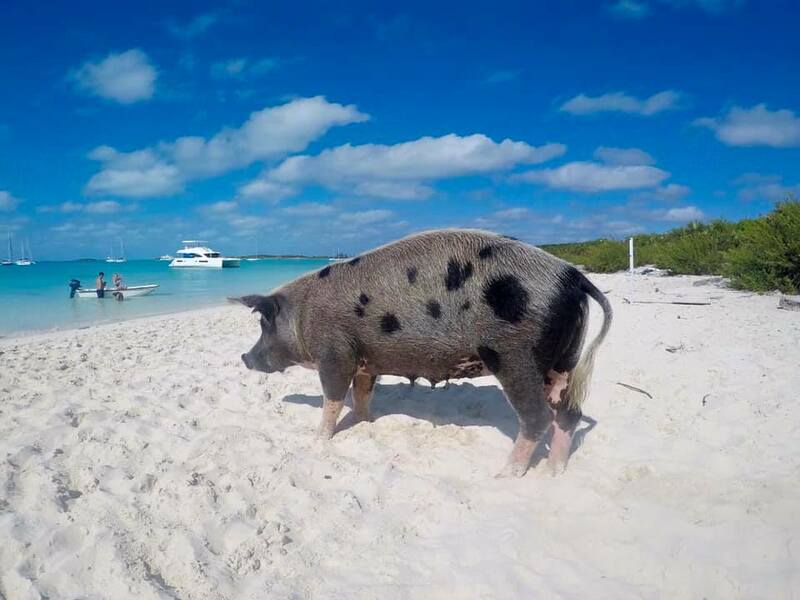 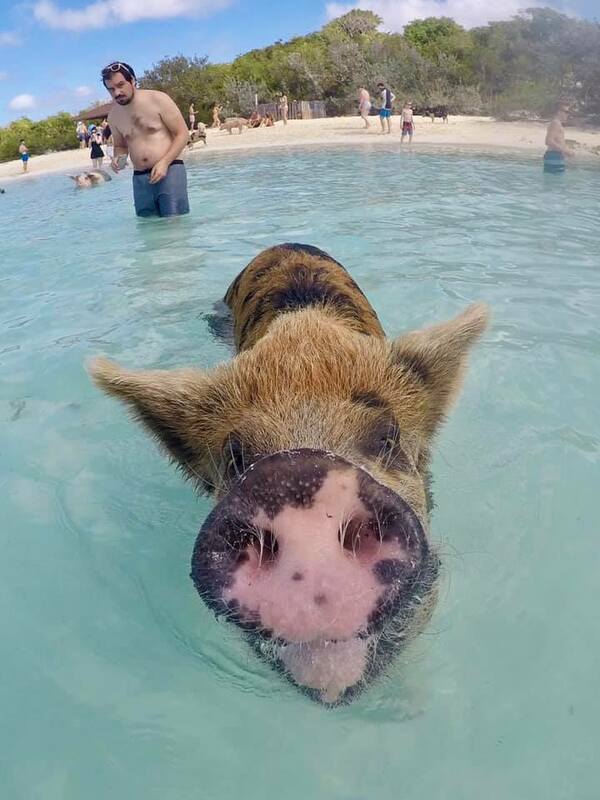 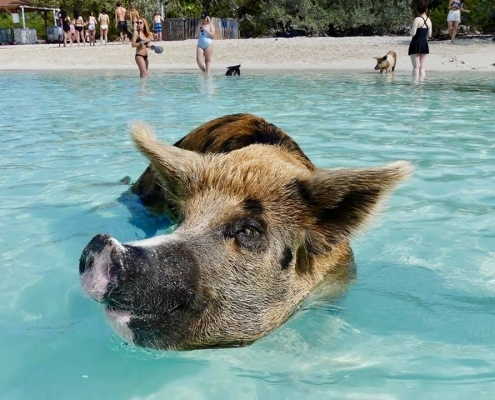 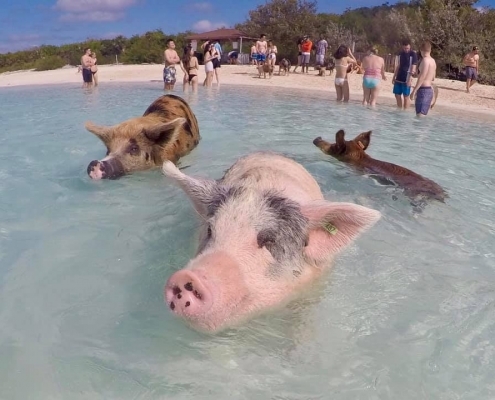 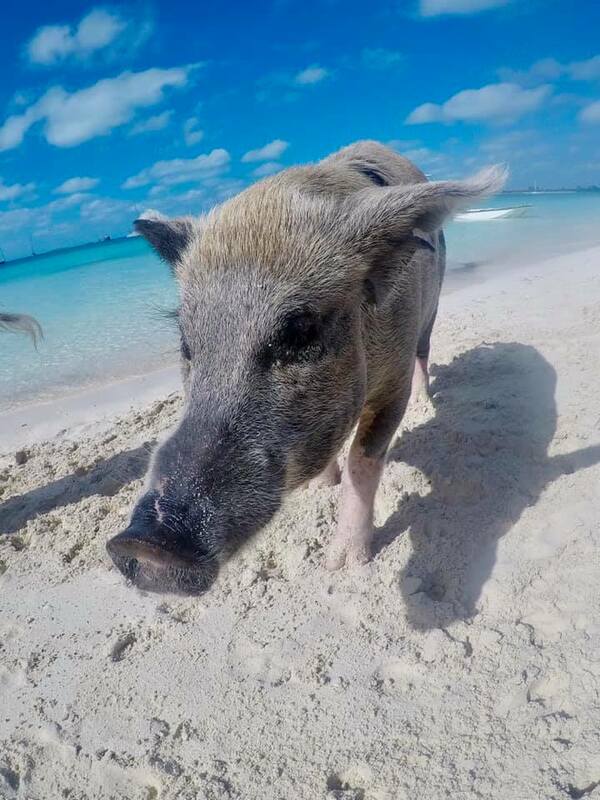 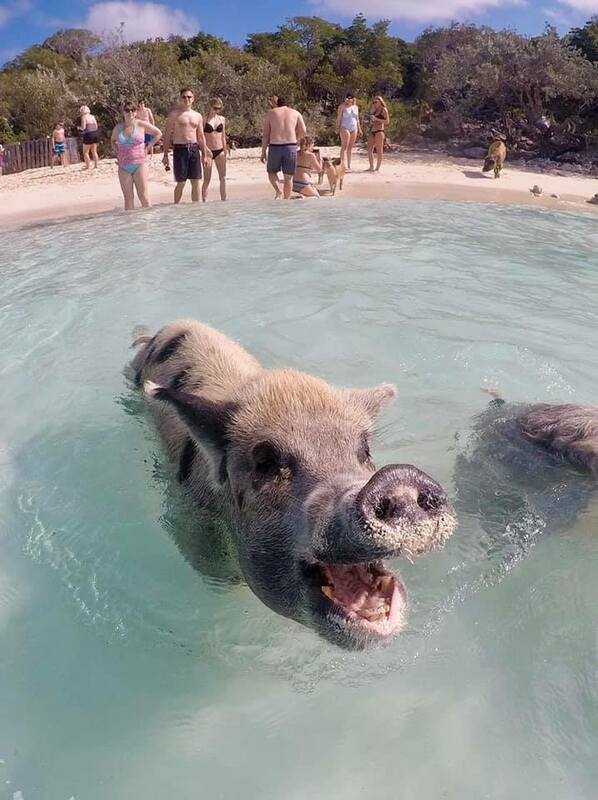 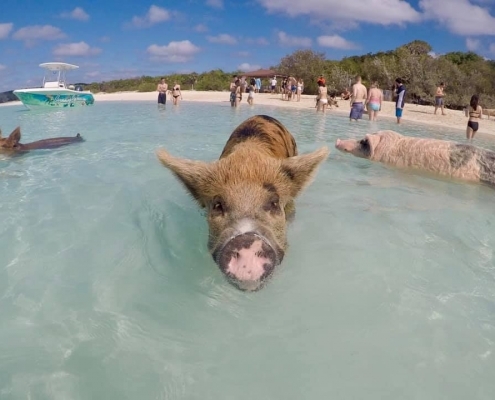 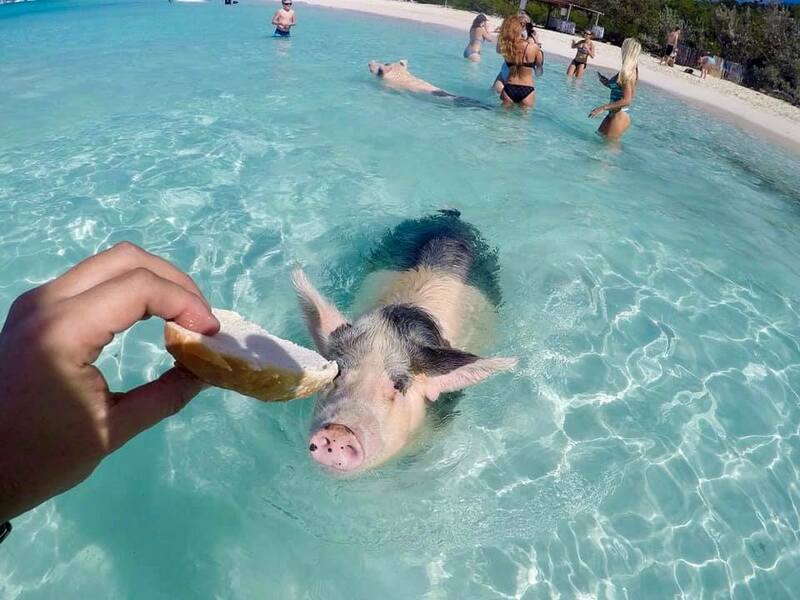 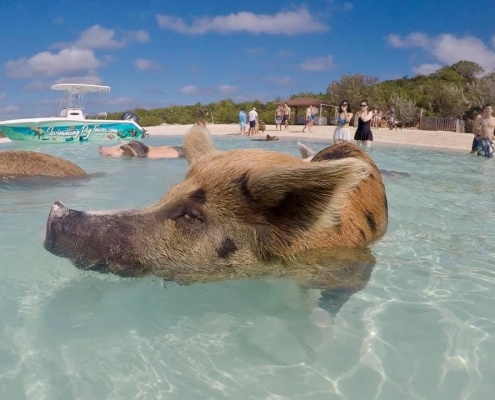 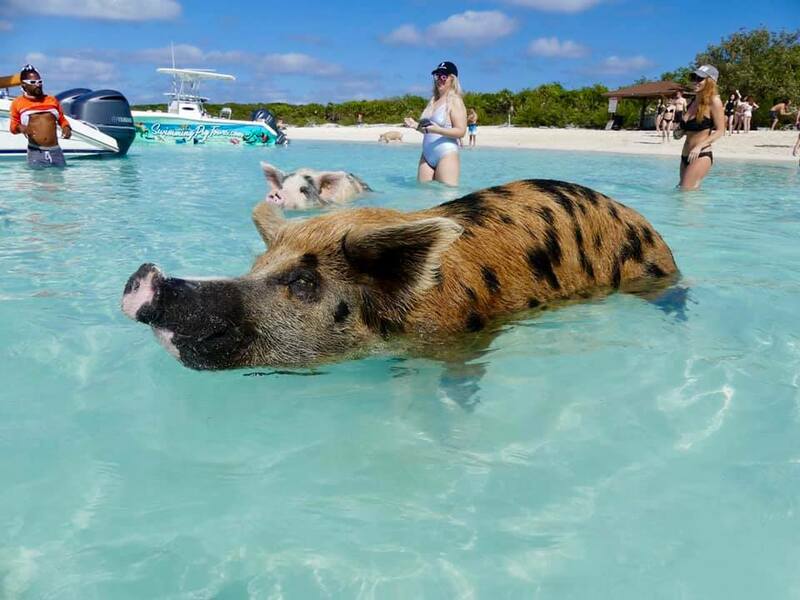 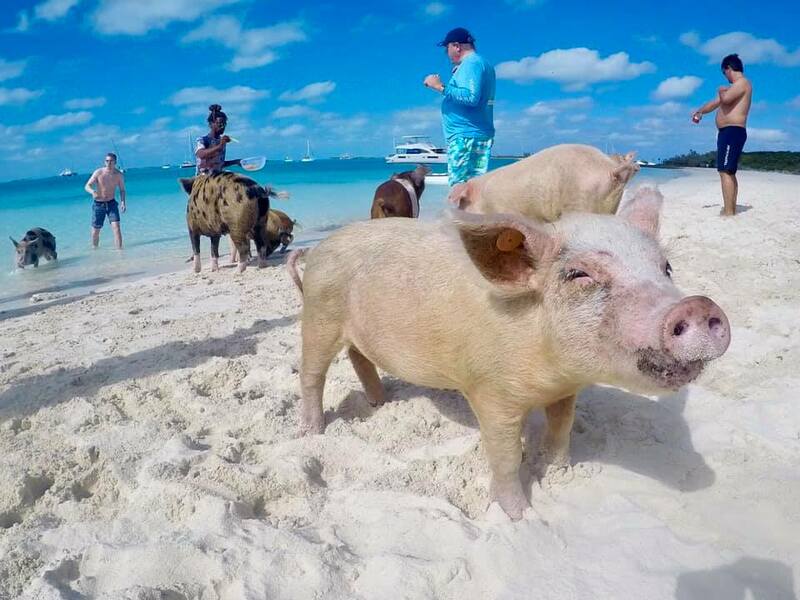 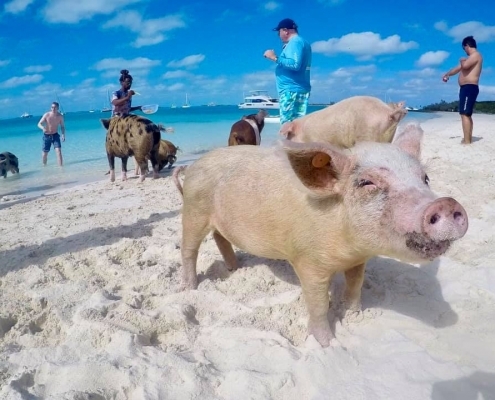 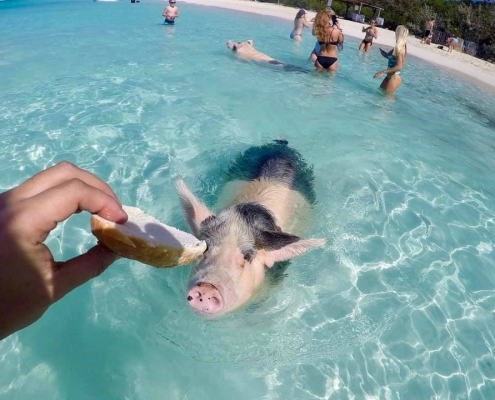 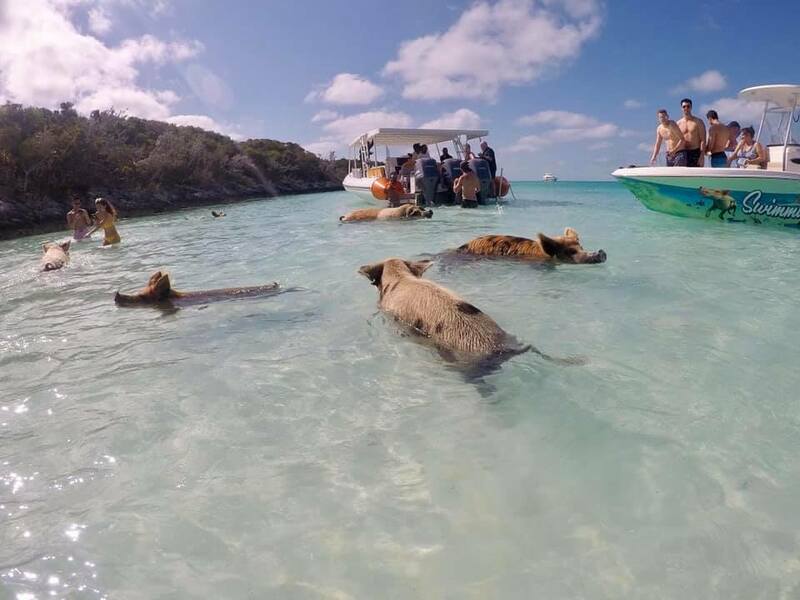 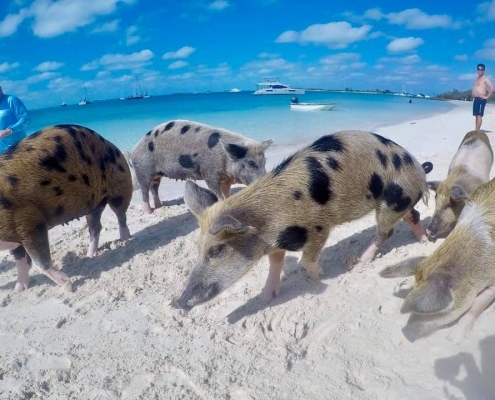 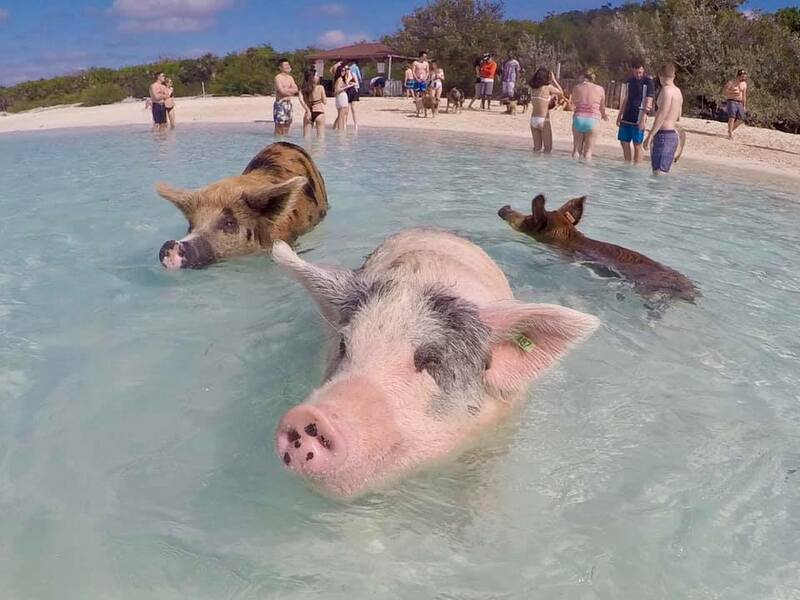 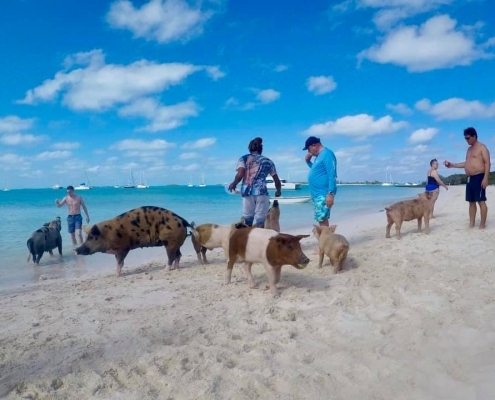 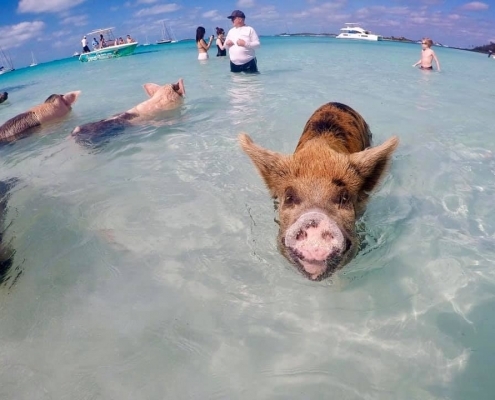 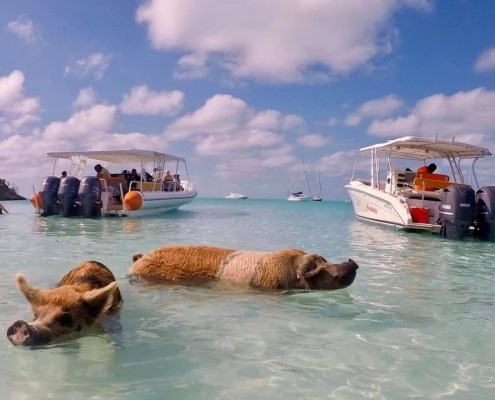 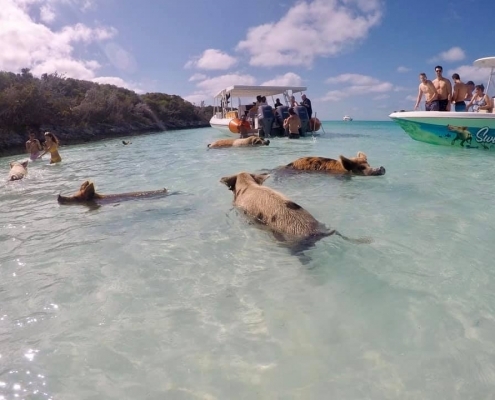 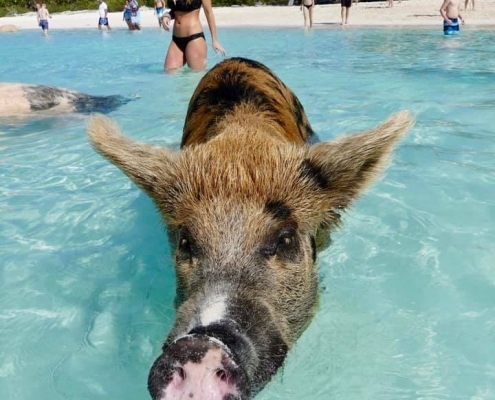 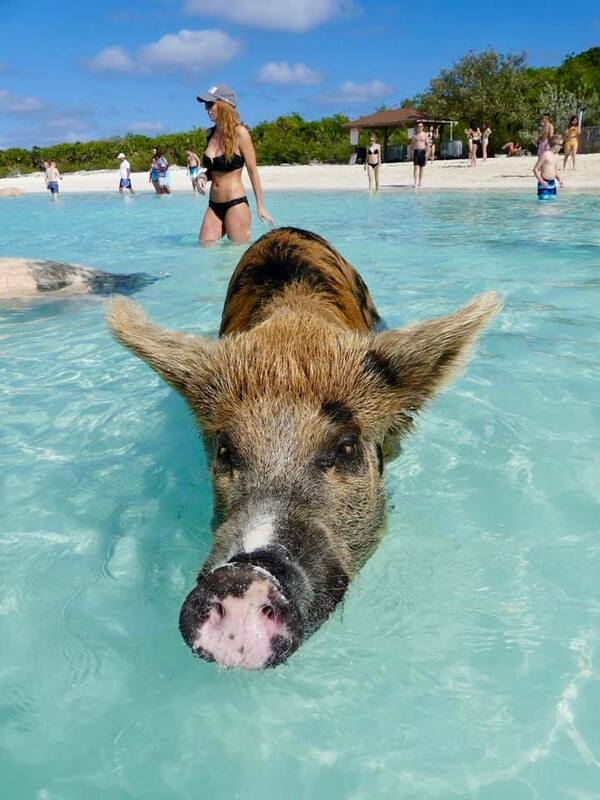 It’s even hard to tell who is more excited to see who – bikini-clad tourists or spotted pigs. 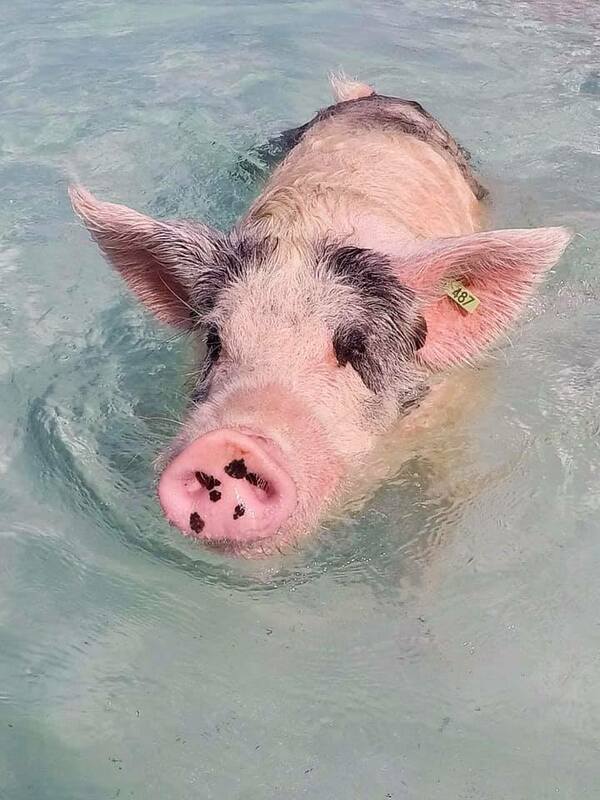 They all can swim quite skillfully, using their snouts like snorkels and even eating bread while swimming. 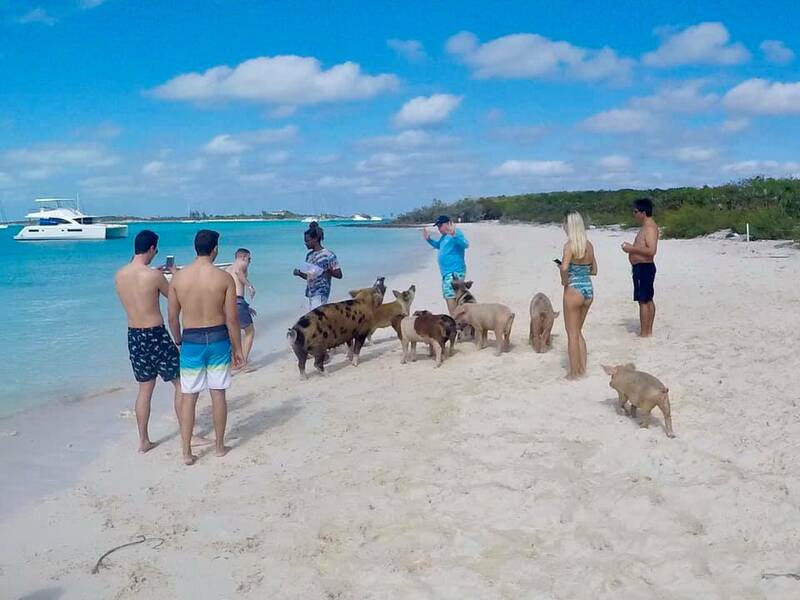 All pigs are protected and tagged and many seriously tiny piglets watch it al from shore, still not knowing how to swim.